We provide humane animal control for homeowners, business owners, and property management companies. Getting birds in your home or business is not a pleasant experience. Our bird removal services can ease that burden. Scott Honeyman is licensed by the New York State Department of Environmental Conservation. Keep these pests from ruining your yard or stinking up your home. Honeyman’s Wildlife Removal can help! Honeyman’s Wildlife Removal is owned and operated by Scott Honeyman, a Nuisa nce Wildlife Control Operator and licensed by the New York State Department of Environmental Conservation. Oneida Wildlife Removal services many parts of Oneida County and CNY. Areas of service include: Canastota, Oneida, Rome, Utica, Vernon, New Hartford, and Sherrill just to name a few. Wildlife animals can often cause problems and destruction to your home or yard. Moles and Raccoons can damage your yard and dig up holes that leave you feeling frustrated. Birds can leave nests in your home causing big problems if not taken care of. That is why we are proud to be your go-to solution for Wildlife Removal Services and are happy to solve any animal problems that may be affecting your home or business. Honeyman’s Wildlife Removal specializes in the removal of Squirrels, Raccoons, Opossums, Skunks, Birds, and other pesky wildlife animals effecting homeowners and businesses. We provide wildlife exclusion to help prevent wildlife from retaking your residence. So what are you waiting for? 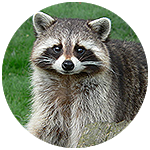 Oneida Wildlife Removal can help your home and business from wildlife animals. For home owners we provide a peace of mind knowing that your problem will be solved. For business owners we help protect your company’s profitability and reputation. We will act to trap and remove all animals safely and humanely which is important to many of the people we work with. Give us a call today and let us know the issues you’re having. We will be able to assist with you all your animal removal needs and that is our guarantee. 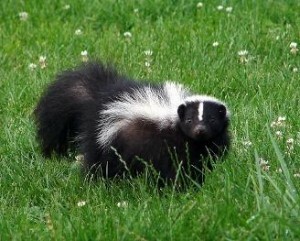 A skunk in your yard can just plain stink. 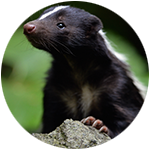 Our Skunk Removal can take care of the problem before they damage your yard or leave a nasty smell under your home. When Squirrels get into your home or business it can mean trouble. 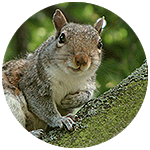 With our Squirrel Removal services we can take control of the situation and find where they are hiding. Raccoons might seem nice but the damage they can cause to your roof, lawn, or trash can’s aren’t so pleasant. With our Racoon Removal services we can help right away. Woodchucks can be dangerous to your yard and can even cause problems with your pets. 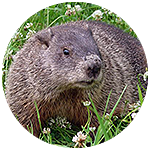 Our Woodchuck Removal safely bait, trap, and remove this animal for you. Are You In Need Of Animal Removal? If you’re having animal issues and want a dependable name you can trust, than we’re here for you. Simply click the button below to send us an e-mail, or give us a call at 315-264-2838. We offer a variety of services that solve your animal problems.